Recap: Sony is taking a different approach to the smartwatch with the Wena line of watch straps. 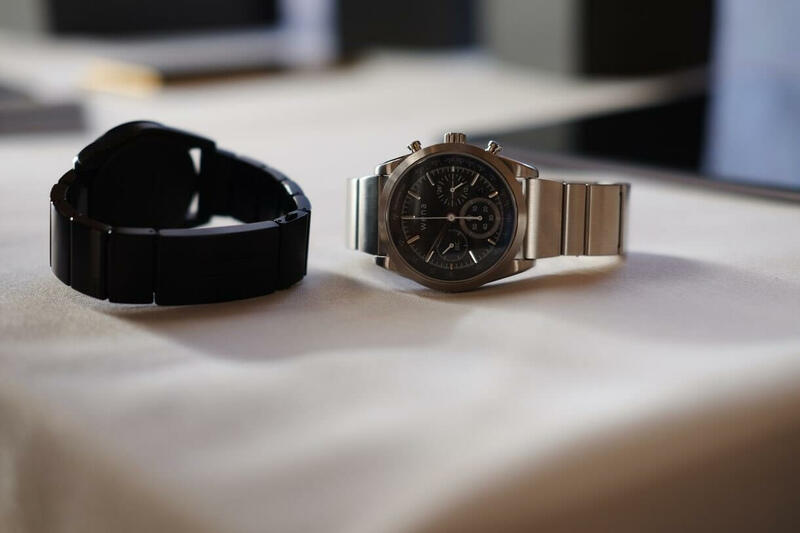 The Wena, which comes in a version aimed at fitness users and a metal variant, attaches to most traditional watches to enable smart features such as NFC payments, fitness tracking, and phone notifications. Beyond a select few, competition in the smartwatch space isn't all that robust. On the Android side, there hasn't been much in the form of innovation, with Android Wear OS starting to feel stagnant and with no major new features over the past few generations of watches. Wear OS's current version was released over two years ago. Sony, which left the smartwatch scene in 2014 and hadn't returned, unveiled a new way to get smart features onto your wrist and into your favorite traditional watch. The new Sona Wena strap is a fresh take on the hybrid smartwatch. The strap connects to your existing watch and enables contact-less payments, basic fitness tracking functions like step count and distance, and phone notifications. The strap comes in two different styles - the Wena Wrist Active, a silicone strap for fitness users, and the Wena Wrist Pro, a metal strap with a more premium look and feel. The bands themselves are 20 mm, but are compatible with any watch with 18, 20, or 22 mm pins so it's likely to work with most watches. The metal band will be available in silver and black, while the silicone strap will be black-only. If you don't have a watch face to connect these to, Sony has got you covered. The company is releasing four non-smart watch faces alongside the Wena. A US release date hasn't been announced yet, but they will be coming per Sony. They are currently available in the UK, but they're pricey. The Wena Wrist Pro is £399 (around $510), while the active is £349 ($450).